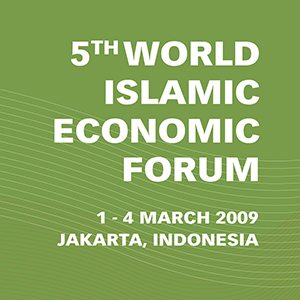 The fifth World Islamic Economic Forum on “Global Food and Energy Security” was held in Jakarta, Indonesia on the 1-4th March 2009. 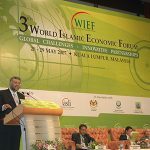 As the theme suggests, the Forum mainly focused on the security and sustainability of global food and energy production. Other issues addressed at the Forum included finding innovative solutions to global challenges particularly responding to the global food and energy situation, focusing on the creative imperative of SMEs in order to penetrate new areas in the marketplace, the role of Islamic banking and its place in conventional finance, the role of business in ensuring a sustainable environment for the future generation, and a special showcase of investments in the various regions of Indonesia on the last day of the Forum. This last day event of the Forum on Indonesian regional investments was the main highlight of the Forum as it hosted a plethora of investment opportunities by the regions and was poised to be a great meeting place for foreign and local investors to discuss possible ventures into these regional projects. RECORDING our appreciation to H.E. 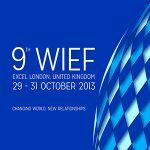 Dato’ Seri Abdullah Ahmad Badawi, Prime Minister of Malaysia and Patron of WIEF Foundation, as well as H.E. Abbas El Fassi, Prime Minister, Kingdom of Morocco, H.E. Abdullah Bin Hamad Al-Attiyah, Deputy Prime Minister, State of Qatar, H.E. Dr Rashad al Alimi, Deputy Prime Minister, Republic of Yemen, Right Honourable A. M. Kirunda Kivejinja, Third Deputy Prime Minister, Republic of Uganda, H.H. Shaik Saud bin Saqar Al Qasimi, Crown Prince and Deputy Ruler, Ras Al-Khaimah Emirate, United Arab Emirates, H.E. Prof. Dr. Ekmeleddin Ihsanoglu, Secretary-General of Organisation of Islamic Conference (OIC), H.E. Dr Ahmed Mohamed Ali, President, Islamic Development Bank and other gathered dignitaries for their invaluable contributions. COMMENDING the proposal of H.E Dr Susilo Bambang Yudhoyono, President of the Republic of Indonesia, to establish an “Islamic World Expenditure Support Fund” for the benefit of least developed Muslim countries using the sizeable reserves of oil exporting Muslim countries. Support the efforts of the OIC to accelerate greater regional economic cooperation through the effective implementation of its 10 year Plan of Action. 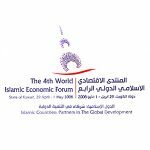 Support the Islamic Development Bank (IDB) Task Force for Islamic Finance and Global Financial Stability to promote Islamic Finance and Banking as a viable alternative to the conventional financial system. Call upon Governments and Islamic banks to expand Shariah compliant micro-credits. 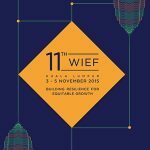 Support the call for effective regulations in the global financial industry to mitigate risk and failure. 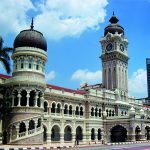 Support the establishment of Islamic Banking Training centres with harmonised standards. Support greater public-private sector collaboration in increased agricultural productivity both within the OIC countries and the rest of the world. Promote joint venture initiatives and the use of state of the art technology in the agro industry to increase efficient food production. Call for the reduction of regulatory barriers, including food subsidies, hindering sustainable food production and trade. Recommend a proper balance between food production for human consumption and energy usage. Reinforce efforts for research and development of non-carbon fuels and other alternative energy sources. Support energy conservation and carbon emission reduction programmes. 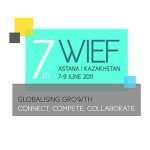 Promote the development of SME’s as the engine of growth in OIC countries through the programs of the Islamic Corporation for the Development of the Private Sector (ICD), Islamic Chamber of Commerce and Industry (ICCI) and specialised forums of the WIEF. 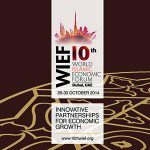 Support the Islamic Centre for the Development of Trade (ICDT) in its efforts to reduce barriers to intra-OIC trade. Support liberalisation of Visa procedures to facilitate travel by businesspersons throughout the OIC countries. 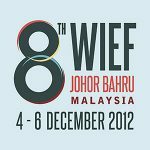 The ‘Training Program for Women Entrepreneurs’ under the WIEF-UiTM International Centre. The furtherance of the ongoing ‘Nurses Training Program’ and the introduction of “The Midwifery Training Program” which can serve as a platform for entrepreneurship development in rural areas. Furthering the aims of the WYN by expanding the WYN Scholarship, Mentorship and Internship Programs to assist young leaders to grow into entrepreneurship positions. 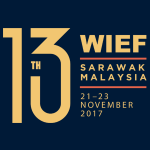 The WIEF-UiTM International Centre and its training, educational and R&D programmes including the promotion of lifelong education initiatives for effective capacity building within OIC countries. 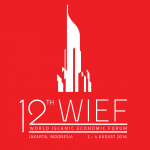 CONGRATULATE the signatories to the four MOU’s worth more than USD 3 billion facilitated through the WIEF network. 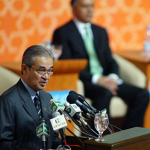 ACCEPT the gracious invitation of Dato’ Seri Abdullah Ahmad Badawi, Prime Minister of Malaysia to host the 6th World Islamic Economic Forum on 18-20 May 2010 in Kuala Lumpur. 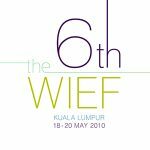 FINALLY, in closing this, the 5th World Islamic Economic Forum, we call on the Chairman of the WIEF to submit this declaration to the Chairman and the Secretary General of the Organisation of Islamic Conference. 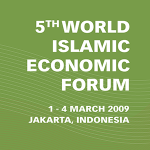 ADOPTED by the Delegates in Jakarta, Republic of Indonesia on the 3rd March 2009.